Can You Guess Why The Internet Is Divided Over This Viral Pic? Is it a wall or a river? The picture has collected a ton of comments on the social networking site. NEW DELHI: Once again, a seemingly regular picture has managed to confuse the Internet. A new optical illusion has made it online and all people need to do is answer what exactly they see in it - a wall or a water body. 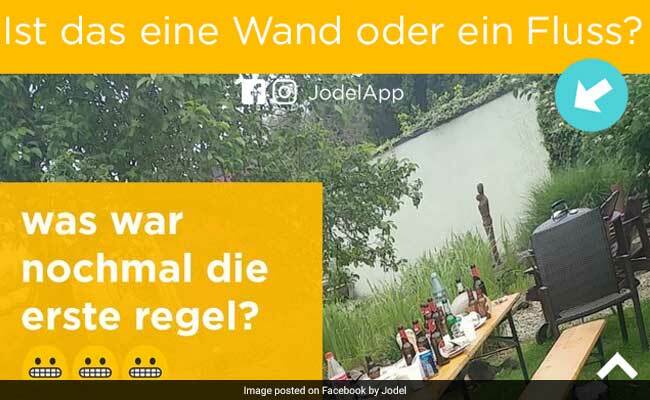 The picture was shared on Facebook by German app Jodel on May 18. Since then, various versions of the picture have left many on social media thoroughly confused. Since being shared, the photo has collected over 4,000 reactions and hundreds of comments on Facebook. 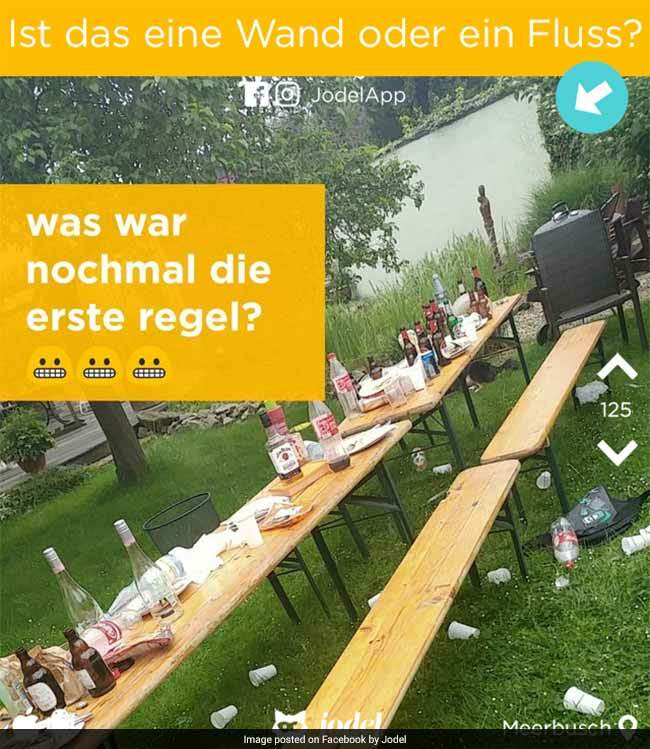 The photo shared shows a picnic table covered with empty bottles and glasses. It has as its background a grey surface of some sorts. The picture asks people what that surface is - a wall or a river. "We cannot be certain. The longer you think, the less clear it is. What do you think?" says the Facebook post. The picture has collected lots of comments on the social networking site. "It is a river," says one commenter. "This is a wall because of the size of the leaves on it," says another. "How many people besides me have turned their mobile phone to the right and turned slightly backwards to see if the perspective is correct?" asks one Facebook user. What do you think it is - a wall or a water body? Tell us using the comments section below.